Flex: 4/10; Lacing: Outer Lacing - BOA lacing for quick and easy closure and exit; BOA lacing also allows you to micro-adjust tension on the fly; Internal Lacing - Liner Lace Locker: Just one pull and the flick of a switch create a comfy and secure ride; Liner: - Silver: Auto Fit technology that self-moulds to your foot every time you put them on for a true custom fit; Footbed:- Ortholite C1: Creates a cooler, drier, healthier and better cushioned ride for your foot; Doesn't break down over time so will keep your feet happy day in and out for a long time; Outsole;- D-Light: Lightweight and low profile, the new full EVA outsole features extra gridding under the heel; This gives added comfort and dampening right where you need it; Simple, fast and comfortable would describe the Pearl well. Silver inner liner for warmth and customized fit, Boa lacing for fast and easy tightening and Ortholite C1 insoles for instant fit and the D-Light lightweight outsole creates one of the best value boots out there. It also dosen't look half bad! 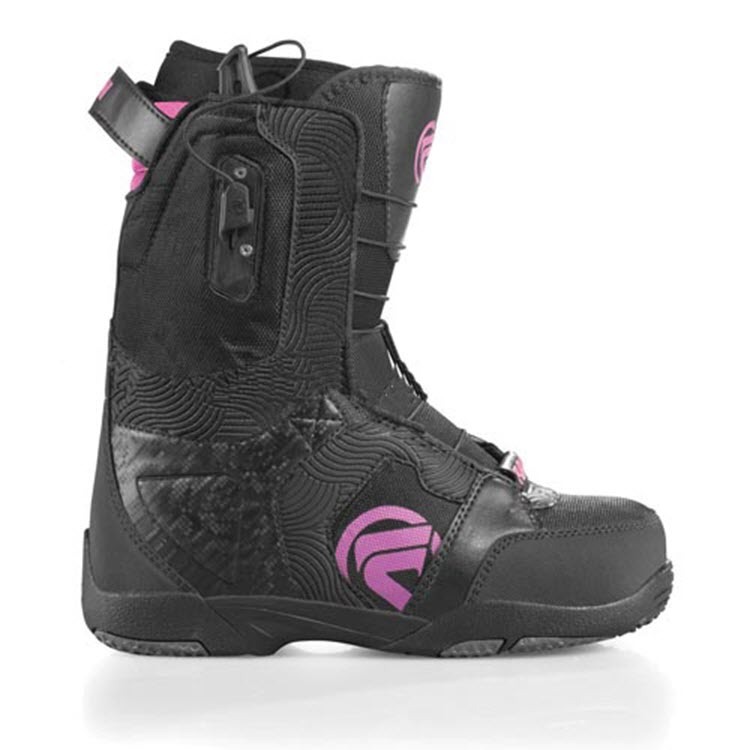 :: Women > Snowboard Boots Size: UK 04,UK 05,UK 05.5,UK 06,UK 06.5,UK 07.